Warley Hill Bowls Club, formally known as Warley Hospital Bowls Club, began its life in 1936 as part of the hospital social club to provide a leisure activity for doctors, staff and patients. During the second world war the club remained open and eventually the green was shared with two other bowling organisations called ‘Silver Threads’ and ‘Three Score’. Both these clubs continued using the green until 1999, when, mainly due to a reduction in membership, amalgamated with the main club. By this time the main club, ‘Warley Hospital’, had a membership that increased considerably, due in part to a local company, ‘Selo Ltd’ (parent company Ilford) closing down in the late 1970’s. Their bowling green in Woodman Road having been demolished, resulted in many of its members joining the Warley Hospital Bowling Club. When Warley Hospital was closed and sold to developers in 1999, part of the land was obtained by Brentwood Borough Council for leisure activities. This included the bowls green and its surrounds which continue to be maintained and run by its members. 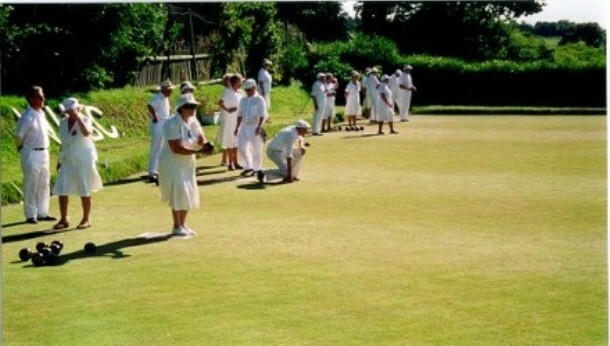 Following the hospital closure, the members decided to rename the club ‘Warley Hill’.